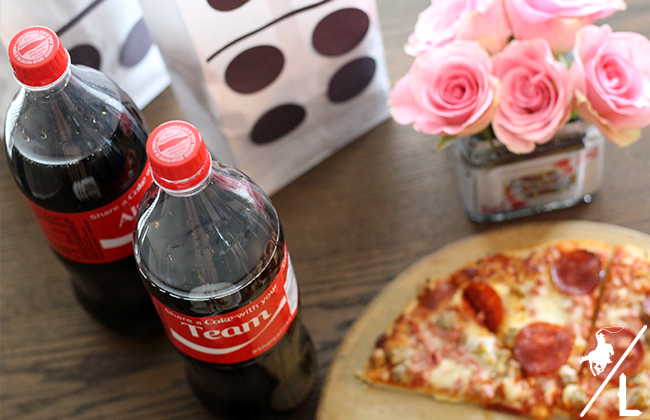 I recently had my sister-in-laws over for a fun night of pizza, drinks and dominoes! Mainly it was an excuse to have a few hours to catch up and enjoy an easy and delicious dinner without our kids. Since we are always make big dinner for our families, I opted for pizza since it’s quick and everyone enjoys it. 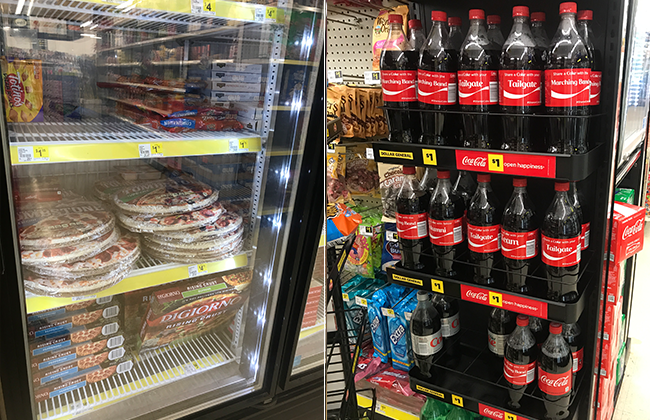 I stopped by Dollar General because you can get a 1.25 liter Coca-Cola and a Tombstone pizza for less than $5! Make sure you use the $1 off coupon from the Dollar General loyalty program. Can’t beat that price for dinner anywhere! 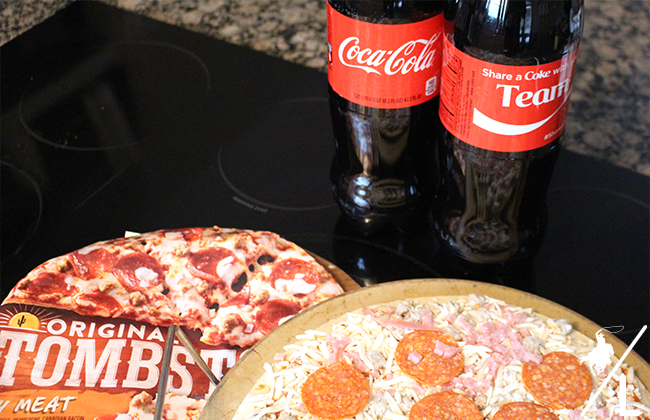 Of course I had to grab an extra drink because nothing goes better with a slice of pizza than an ice cold Coke. To make the night a little more festive, I decided to make a couple of domino prize bags for the winners. It’s easy to make, cheap and makes the game a bit more competitive. 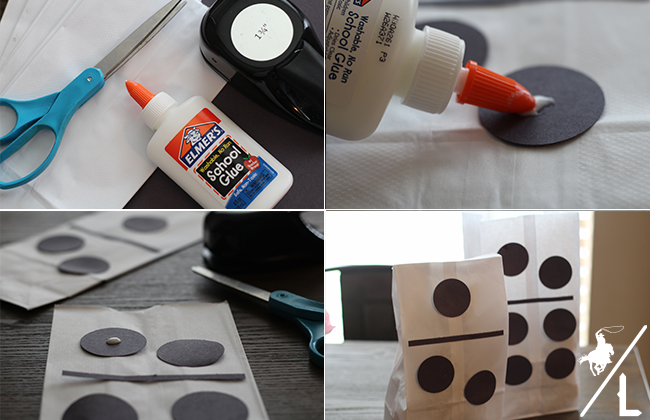 Cut out dots using the hole punch and black construction paper. Cut a thin black strip using the construction paper. Add glue to the black strip and glue to the middle of the bag. Then add glue to the dots and assemble so that it looks like a domino. 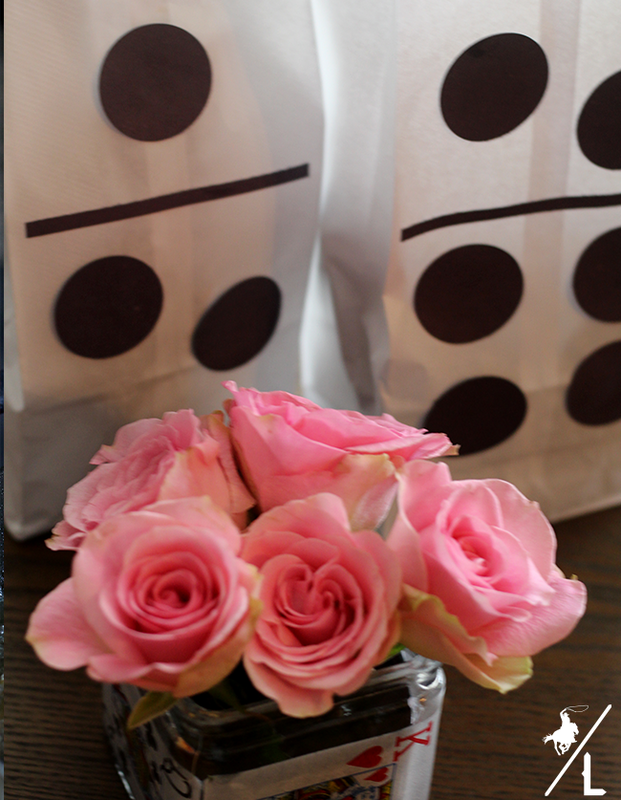 Fill the bag with goodies! See, it’s easy and fun! No need to spend a bunch of money to host a game night, when you can head to your local Dollar General and get dinner for under $5. The crispy, thin crust Tombstone pizza are just as good as any delivery pizza restaurant and cost a fraction of the price! And as much as I love having a girls night, I need to be able to feed everyone at a low price. 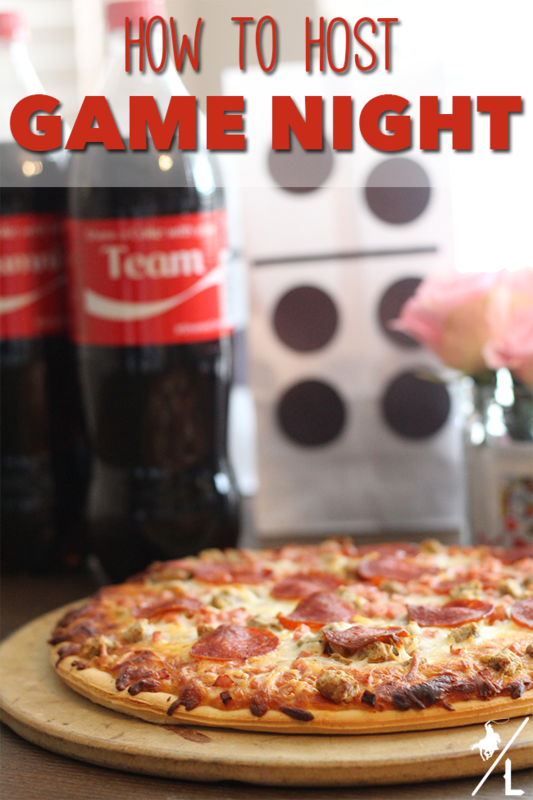 Does your family enjoy game nights? Next time head to Dollar General to pick up dinner – your family will thank you!